This article on Pondosa is a direct product of the research I've done into McCloud history, and this format allowed me to get much deeper into the story of a single place- in this case Pondosa- than I could in a bigger book. I really like this article and consider it one of my better works. 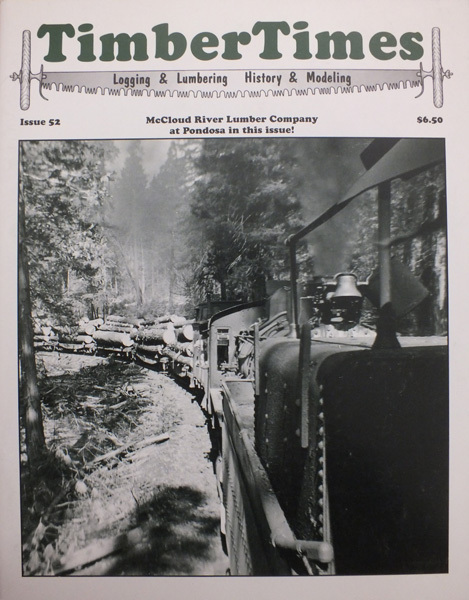 Timber Times is published roughly quarterly, and this one is still available from them as a back issue.